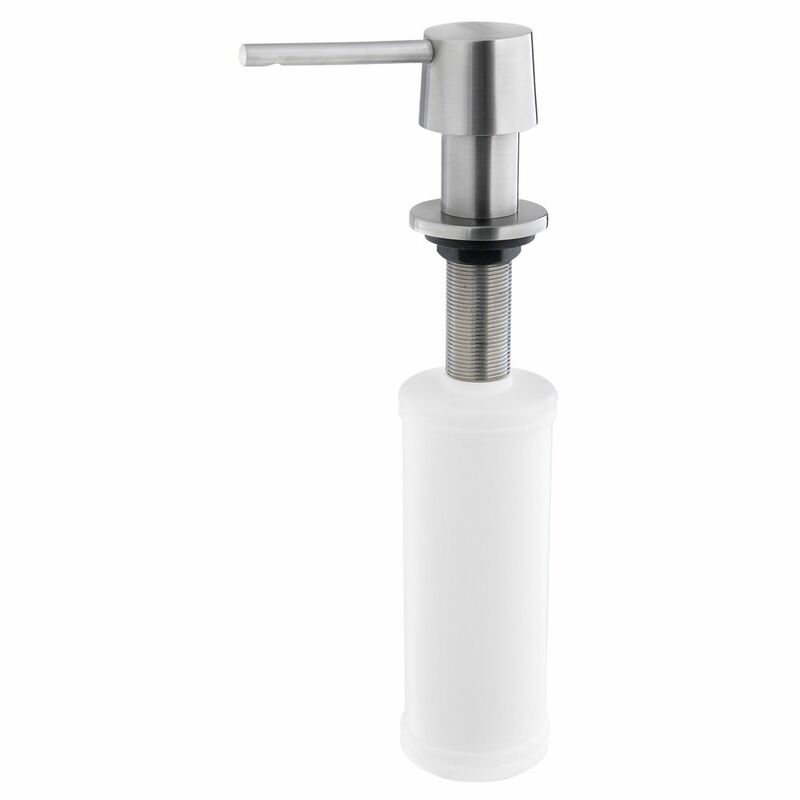 SS lotion dispenser Stainless steel soap and lotion dispenser with commercial satin finish. Pump activated dispenser features solid stainless steel construction, with 500 ml capacity polypropelene bottle that fills from above the counter. Dispenser can accommodate a countertop thickness of 1.5 inches. Commercial finish is a natural complement to commercial look appliances and sink.